Temperatures are dropping, daylight is shorter & everyone is spending more time inside. 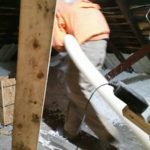 It’s important to prepare your home for the coldest months of the year, to make it comfortable & more energy efficient. Here are some ideas which could save you big money! Check and replace your furnace filters on a monthly basis during the winter months. To check if a filter needs to be replaced, hold it up to the light. If light does not shine through, it is time for a new one. In the winter months, change your ceiling fan blades to move clockwise. It lifts the cool air to the ceiling and pushes the heated air down. 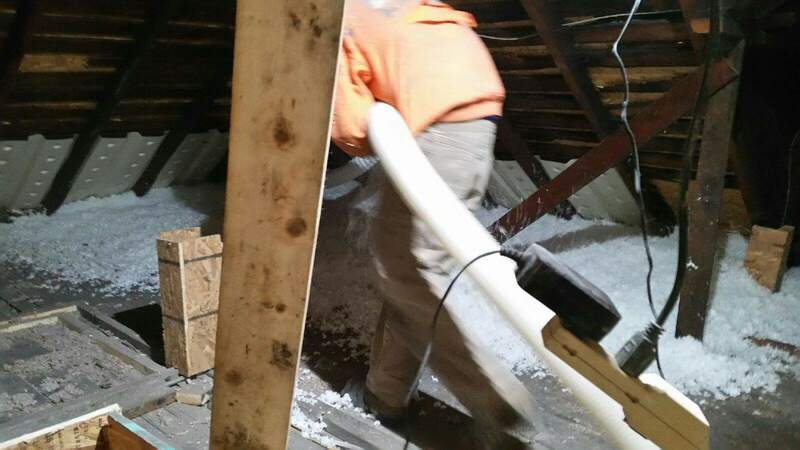 To keep heat in and the cold out, add insulation to your attic. This is where you can usually find some of the largest opportunities to save energy in your home. 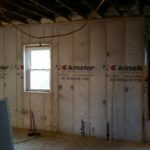 Your local experts at Kinzler Construction Services can help identify inefficiencies in your home, such as air leaks & inadequate insulation. 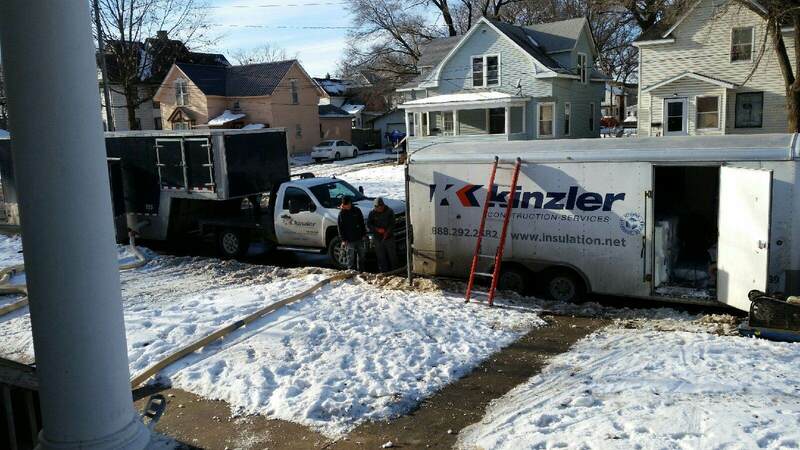 Contact Kinzler Construction Services for a free insulation inspection at your home! Call us at 888-292-2382 and start saving money on your energy bills! 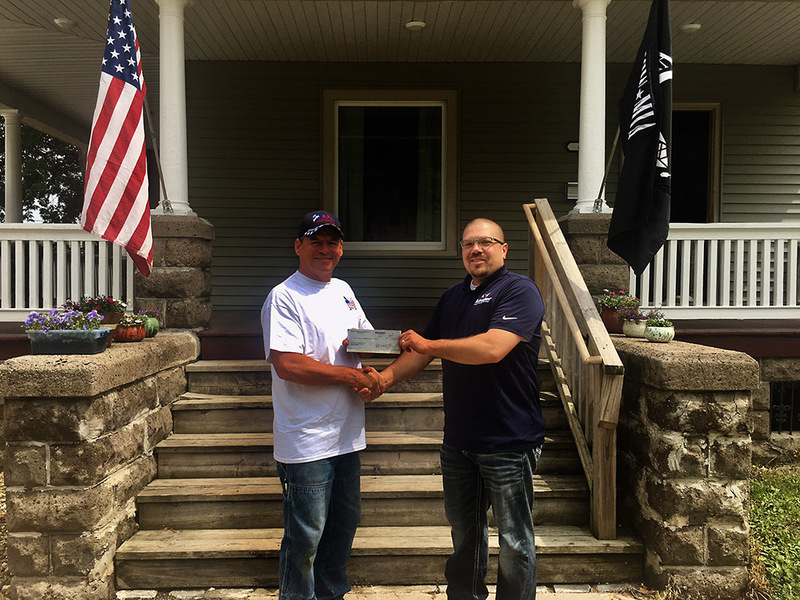 Nate Johnson, Kinzler Construction Services Sales Representative, presents a donation to Tim Combs of Americans for Independent Living Director. 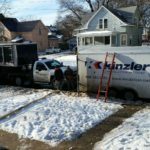 Kinzler Construction Services is pleased to be part of a project aimed at ending homelessness among veterans in the Waterloo, IA area. 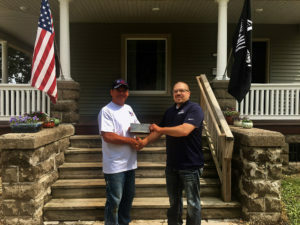 Local non-profit group “Americans for Independent Living” opened the Veterans Transitional House at 420 E 9th St in Waterloo earlier this spring. The home houses three men, each with his own room and a shared living room, kitchen and bathroom. The goal is to allow the men to live in the home for about a year, helping them find permanent housing and jobs. 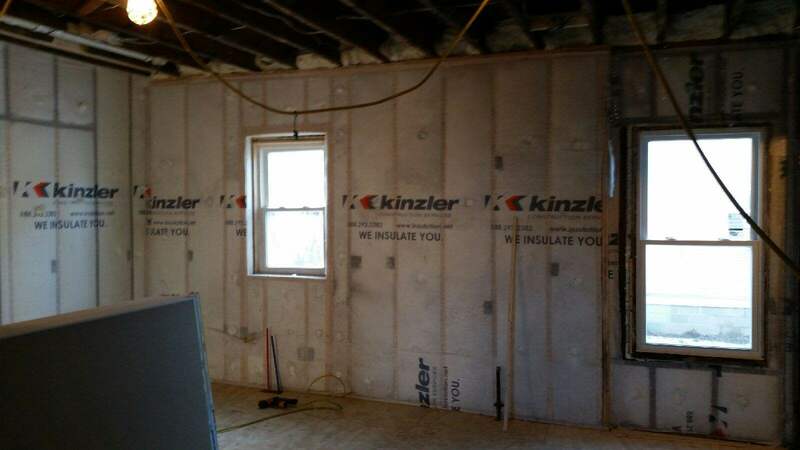 Kinzler Construction Services installed insulation into the home, donating half of the total cost of the project back to Americans for Independent Living. There are about 30 homeless veterans in Waterloo on any given night according to the Black Hawk County Veteran Affairs Commission. 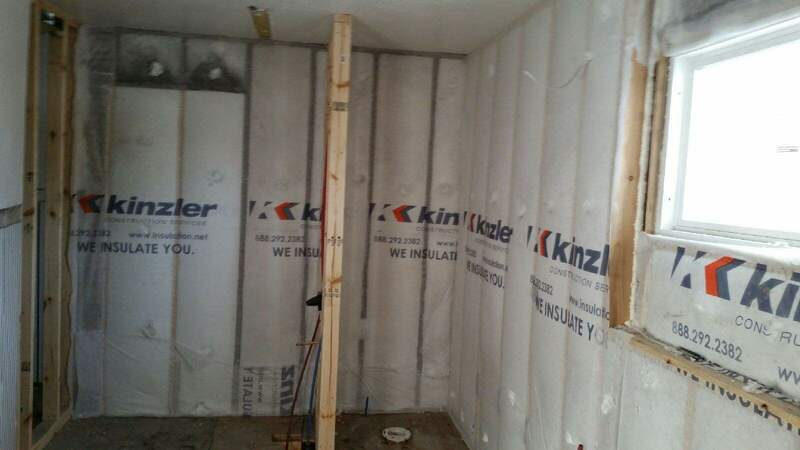 Kinzler Construction Services is a leading installer of insulation products, gypsum concrete, fireproofing & air barrier. 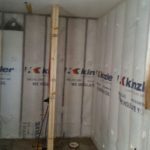 Kinzler also distributes a full line of construction materials, including drywall, steel framing, acoustical ceiling tile & EIFS. With locations across America’s heartland, Kinzler is a rapidly-growing, family-owned company offering industry-leading service to the best customers. To search job openings and apply to join the Kinzler team, visit www.KinzlerCareers.com.